This is the latest version of my teeth. It’s not 100% perfect yet but I’m really happy with it! People have commented that one of my fillings is very visible – it’s on my front teeth and you can see the yellow discoloration it made from the back. I never paid much attention to it until my better half told me she noticed it the first time she met me. I felt rather self conscious after that and made it a point to fix it. 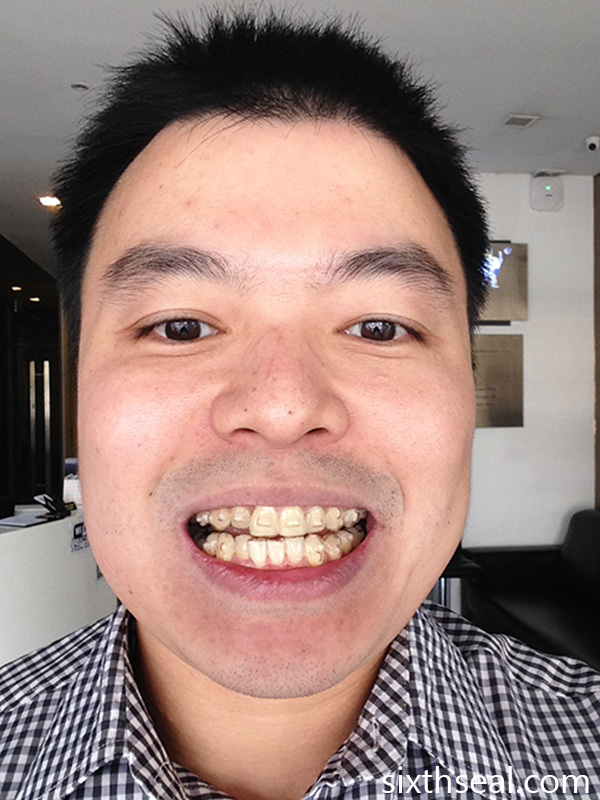 I just went to Imperial Dental in Bangsar to re-do the filings. My orthodontist Dr Salima was concerned that I would need a root canal coz of the rot but in the end it just needed another filling. It’s one of the gnarlier procedures to go through coz of the sensitivity of the teeth (drill goes into the root) but I’m glad it’s all done. I never thought the yellow bit would be so visible but it actually shows each time I smile and affects my overall look. 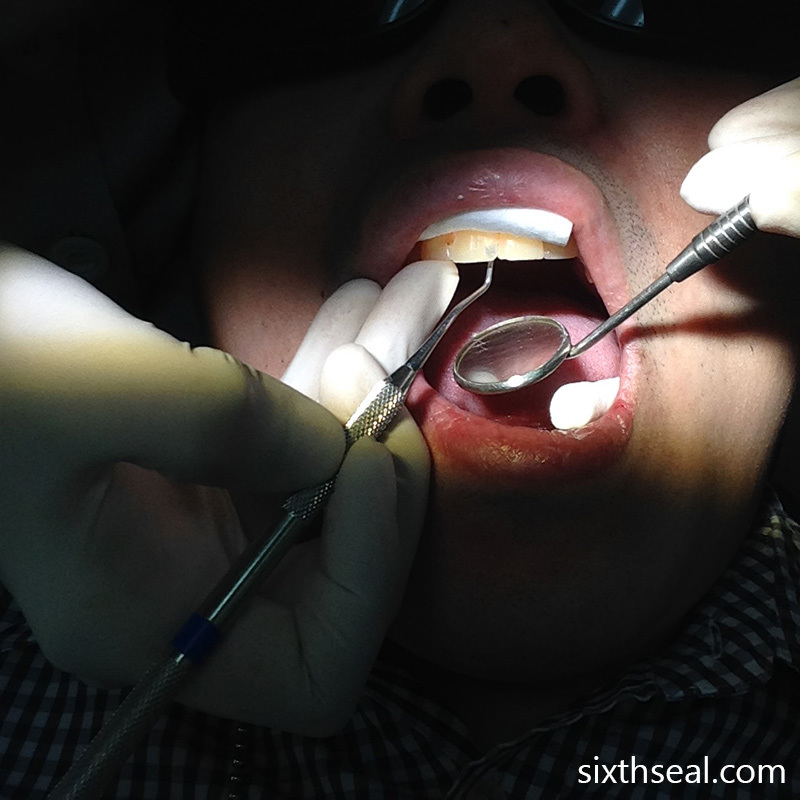 I did 2 fillings for RM 270. This is not covered by Invisalign as it’s a cosmetic procedure that I’m doing on my own and thus paying out of my own pocket. It’s RM 150 for one and RM 120 for the other. I think it’s money well spent as my front teeth are all the same white color now. Teeth is one of the things that I never paid much attention to coz honestly I look pretty decent (above average anyway) but it’s one of the things you can easily fix to make yourself look A LOT better. I’m glad I did it and my Invisalign is going well too! I always had bad teeth coz I had phobia for dentists! 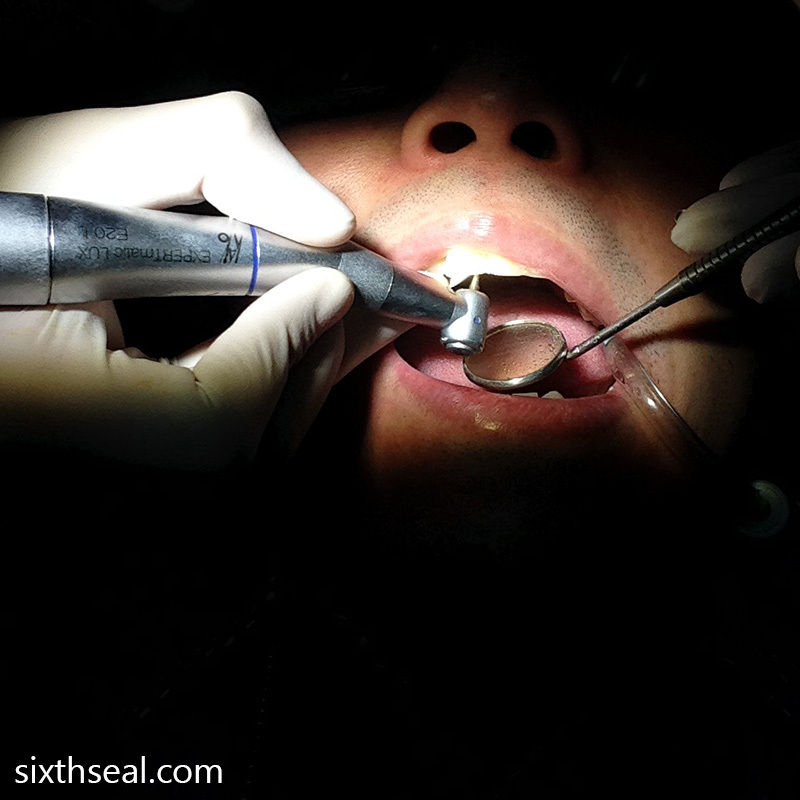 In the end I also had to do 4 root canals with crownings. Ouch!